When we stop to remember those who have so bravely served our country this Veteran's Day, we need to take a minute and remember that even after they have left the battle, they could possibly be bringing the battlefield home with them. While we as the body of Christ, the church, are supposed to reach out to those who are hurting and offer comfort and assistance for those seeking healing, we often do a poor job of it. The Department of Veterans Affairs recently reported that daily, more than 20 veterans and active duty service members, guardsmen and reservists commit suicide. To break it down further, that is nearly one suicide every hour, and more than 80 percent of them are veterans. We often relegate the responsibility of caring for our veterans to the public sector. The reality is that there simply aren't enough people and systems to help veterans, and the ball gets dropped, they get lost in the system or simply forgotten. In the Christian world, we would call them an "unreached people group." I deeply and intimately know the un-thinkable cost of combat-related trauma, as I served four tours in Iraq and Afghanistan. It's a wound that runs deep, down to a warrior's core. After the constant and enduring thrum of battle during war, when you have to be ready to fight at a moment's notice, returning to the mundane civilian life is not easy. The dichotomy of the brutality on the battlefield vs. the monotony of everyday life is in constant competition with one another. When I returned, nothing at home seemed real to me, and I had a hard time adjusting. This is a common occurrence among veterans who struggle after returning home. It is incredibly difficult for us to admit that what we encountered during deployment—the fighting, the deaths, losing our brothers and sisters in arms—had an effect on us. Eventually, I recognized what was going on and I got help. Not everyone is so lucky, though. There are incredible organizations that help veterans, but they don't always address the person as a whole. While effective for the short term, clinical treatments and group therapies are inadequate and usually ignore the spiritual dimension of the internal battle being fought. Often, veterans are seeking help, but they are unable to communicate it, and they don't always know how to connect or who to connect with. This is where the church and its leadership needs to make sure they are reaching out to assist these brave men and women. As I travel the country speaking as an advocate for veterans and active duty military, it's frustrating to consistently hear that the churches they attend don't have groups or programs for them—especially if the congregation has a large population. 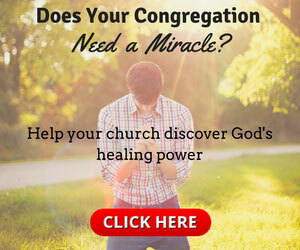 If your church is in Florida, Texas or California, the states with the largest populations of veterans and active duty military, you should consider having a small group for them and having a staffer familiar with resources offered by organizations such as the Department of Veterans Affairs, the American Legion and SOF Missions. If veterans will surrender their struggles and lives to God, He can save them from their problems and themselves. They will experience forgiveness for their guilt, cleansing from their shame and comfort for their grief. He will restore broken relationships and bind up the wounds of the heart, assuring a complete healing of heart and soul. Air Force Special Operations Lt. Col. Damon Friedman is the founder of SOF Missions, a non-profit organization aimed at helping veterans. 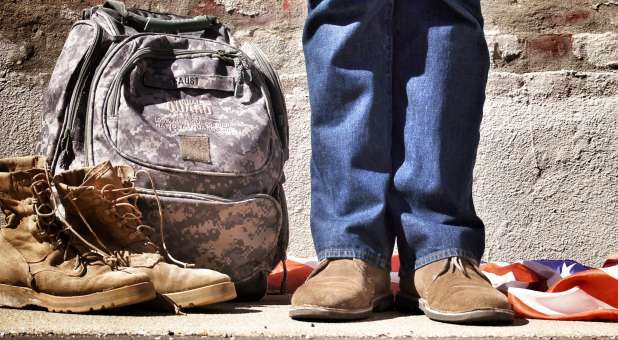 Any church that wants help establishing a support group for veterans should contact SOF Missions at connect@sofmissions.com, and it will provide background materials.